Tomorrow, I will be running a half-marathon, my first but hopefully not my last. So far, my journey has been most enjoyable, possibly because this is something I really (really!) want to do. 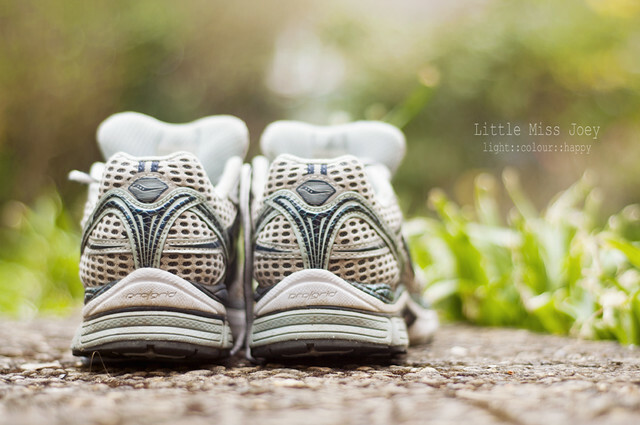 If you read this post, you know that I'm kinda new to running and I'm not a natural born runner. No matter how much effort and training I put into it, it's very unlikely I could ever do a sub 2:00 half-marathon. But I can do one, in whatever time it takes me. As Dad collected me from my 16K run last time I was over and asked me how it'd gone, I complained I was too slow. "You are doing it and that's all that matters", he said to me; you're so right, Dad, so right. So, what's been making my training so enjoyable? In addition to the I-REALLY-want-this factor, there are a few little (BIG) things which make the pain seem like a short jolly to the park. Right now, I don't think I could do this without the best running partner ever - my friend Nicky. And maybe I could, maybe, but it wouldn't be the same. At all. He plans routes for us, making the long runs that bit more interesting; he checks up on me if we're not in the same place and I need to go out by myself; he pushes me and motivates me whenever I think I'm just gonna fall head straight to the pavement; he soothes my moods and ensures me the only thing that matters is doing it at my pace; and he paces me when I think I can do it all too fast to last. Sadly to you reading this, he's not available for loan, but if you can find such a friend who runs with you, consider yourself INCREDIBLY lucky! It's very useful to have a running programme, especially if you're new to running or lazy. You look at it and there it is, all you need to do, and when, to get that mileage under your belt; so simple and hassle free. We've been using this one and I really like it. We don't follow it religiously during the week days but have been pretty good with the long runs at weekends. I have good running shoes, which I bought at Up & Running after a fitting session. I'm a firm believer in looking after my body, seeing that I only have this one! I also have fairly decent running clothes, things I'm comfortable in and which dry quickly. Being that I am a girl, a very good bra is also a must! I have been fortunate enough to get my feet massaged after every single run. This is not only enjoyable but awesome for my recovery. Michael has been a star in making sure my feet are well looked after! And I have had two leg massages which were key to recover from the long runs. Having supporting friends and family makes all the difference. To me it does, anyway. For my first ever 16K run in Porto, Dad picked me up at the end so I could run to and by the beach; he brought dry clothes (yep, it rained throughout my run, what are the odds??) and bought my favourite bread (regueifa, here and here) on the way home. Dad also reinforced the idea I seem to forget on occasion - you are doing it and it is amazing you are! Warms my heart every time, that Dad thinks something I do is amazing; even when it's not, it kinda becomes amazing it because he thinks so. Tomorrow, I have a few dedicated friends coming to support me. I will be forever grateful to them for making those 21K way more interesting and ensuring I don't forget to smile every so often along the way. And once again.... I'll have Nicky running it with me, every step of the way! I have setup a Just Giving page for Cancer Research UK, if you're kind enough to sponsor this adventure for an excellent cause! Thank you!